Oh man, I have a couple VoCores, I really really like them for embedded Python projects. That badge is oddball, in the shape of puffy, the openBSD mascot, but running Linux, wouldn’t a penguin make more sense. Maybe something like Mr Flibble ( https://www.youtube.com/watch?v=AOE7qTAK87o ). 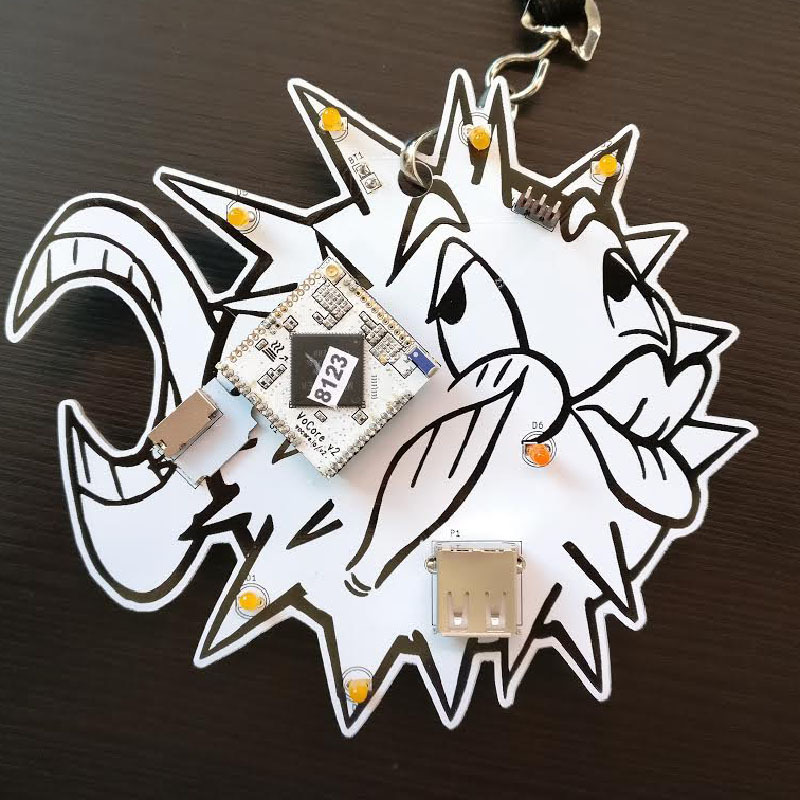 I think the badge deserves an OpenBSD port. OpenBSD does run on MIPS, and I’ve used it on Loongson, but its toolchain is an idiosyncratic beast which will make porting a challenge. Looks like a OpenBSD cartoon.. DEFCON is famous for hating on OpenBSD and it’s devs.. Probably because of the ‘hipster-like’ attitude of many of those devs. Without the £300 beard styling of course. You just described the bulk of the IT industry today.. Drive through San Fransisco or Silicon Valley some time.. NYC is almost as worse..
Yeh. Aren’t they just… Some ‘types’ do seem to be worse than others though. Apple fanbois and Red Hat employees spring to mind.